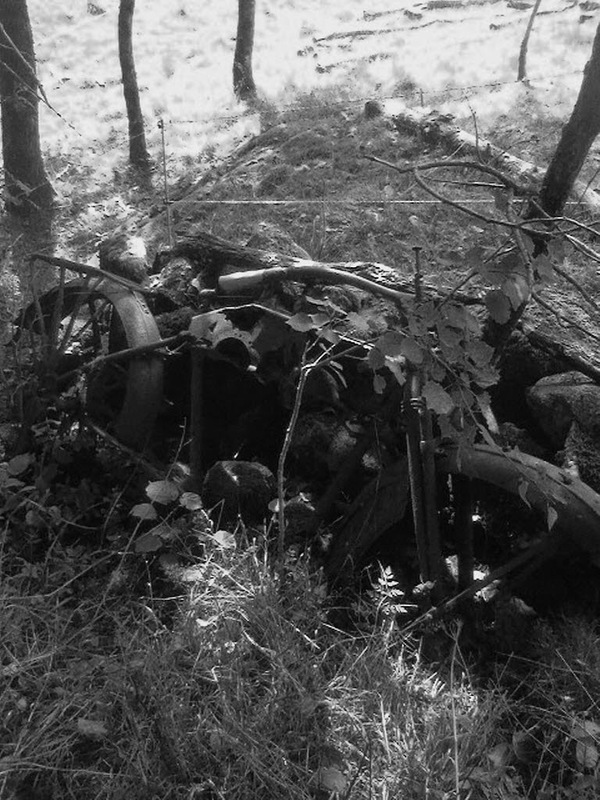 Out and about looking for chanterelles, and off course I get distracted, stumbling into an early twenties Harley, silently resting towards the fence where once parked 50-60 years ago. 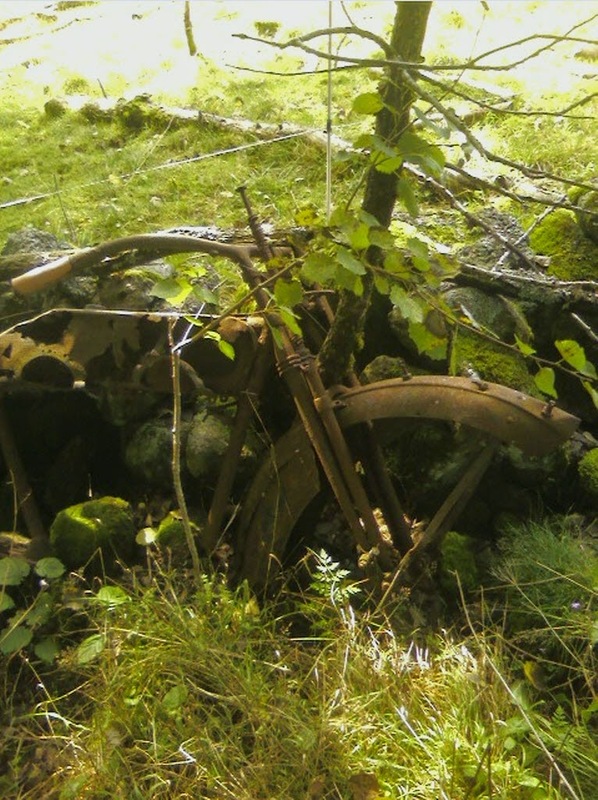 Hey folks it is 2014, and there are still undiscovered 90 years old Harleys parked in the woods!! Walked a little further, oups again, an abandoned barn. 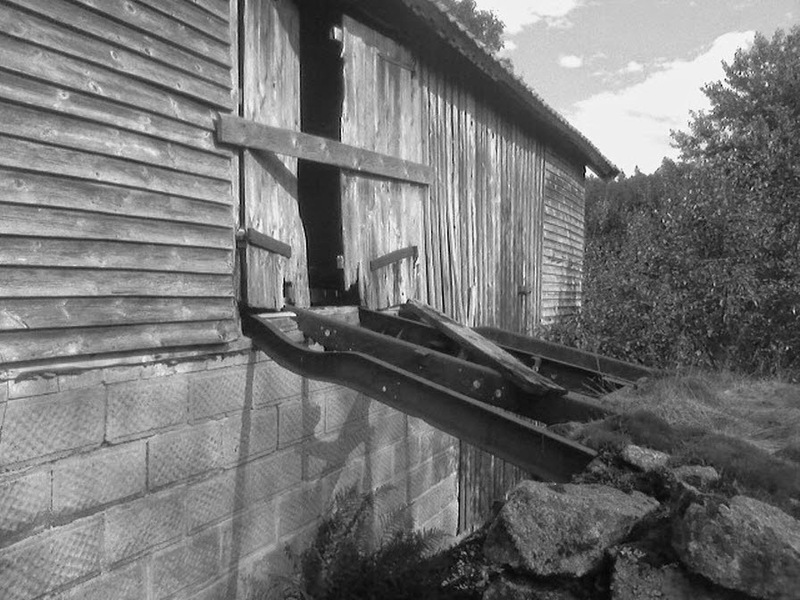 Check out the bridge to the barns second floor. 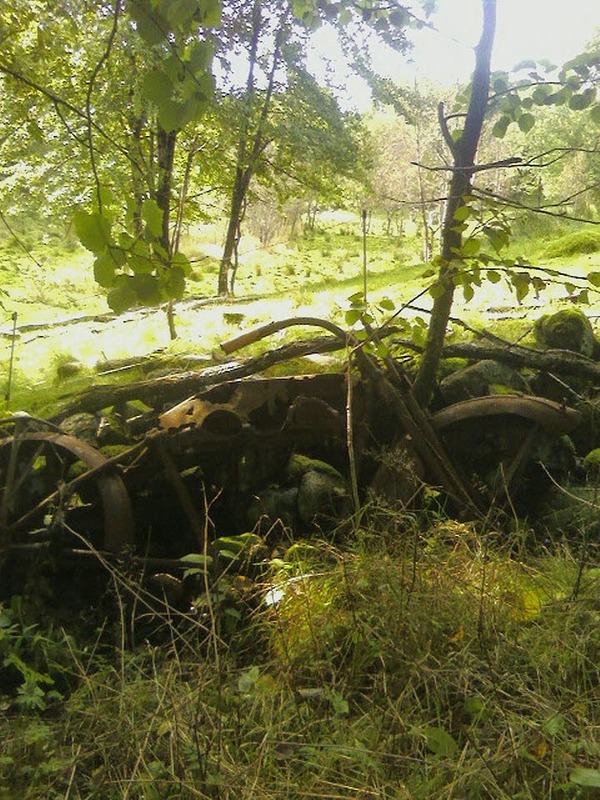 American made car frames, from the twenties too, I know, their remains was spread around in the area. Question is; did I enter the barn? and did I find anything? Oh, not to forget I found plenty of chantarelles too. Go and get those machines home with you Man!!! I wil I will get the remains of this ol HD home with me, but first I will take some nice photos with a decent camera, and not to forget I need to bring a saw!